Appreciating the trust of our customers, we aspire to further become one of the strongest brands in the hanger manufacturing industry while opening new horizons of innovation and concepts in it. Modern Trims is committed to manufacture finest hangers with highest quality standards to enrich lifestyles. With a belief of providing nothing but the best, our pool of talents persistently works on finding innovative ways to enhance the designs and concepts of our hangers with absolute perfection. Walking steadily towards excellence, we stand on the strong pillars of Integrity, Passion for Fineness and Adaptability. 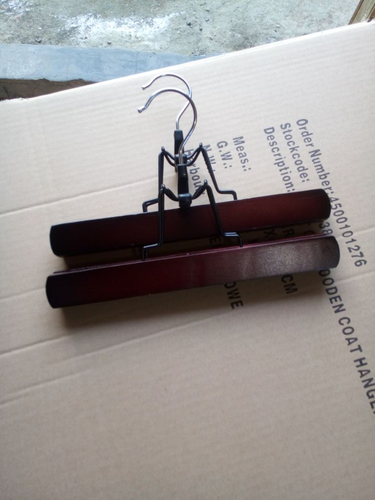 We have 5 Injection molding machines, also we have mould making CNC Machine installed in our concern , Now we are entering new generation Fashion Display Hangers Like Wooden, Metal, Fashion, multipurpose Hangers supplying throughout Indian Markets to focus Textile Showrooms, and Garment Industries.